May sees the birth of the first baby swan at Abbotsbury Swannery. Legend has it that the this first birth bring with ut the start of summer. 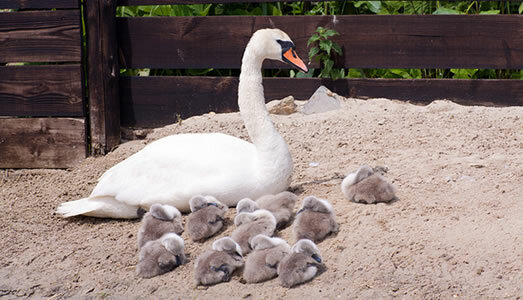 Housing over 600 swans, the swannery is the only one of its kind in the world, and offers the opportunity to get up close to a colony of mute swans. At 12pm and 4pm every day children can join in feeding the swans – It’s well worth a visit. 240 primates swing and are house at Monkey World. Chimpanzees are in abundance and here you will find the largest collection outside of Africa. It’s a great place for a day out, with play areas and child-friendly cafes as well as all the different ape enclosures to explore. The Jurassic Coast in one of only a few World Heritage Sites and Charmouth is renowned as a destination for fossil finding. With incredible prehistoric treasures being discovered here all the time. If you want to learn more head across to the Charmouth Heritage Centre before you start hunting for advice, information and guided walks. Alternatively hit the beach and start to uncover ammonites and belemnites hidden in rock pools and under stones. Just over the border in Devon, but we wanted to include it anyway since it’s such a super little attraction. 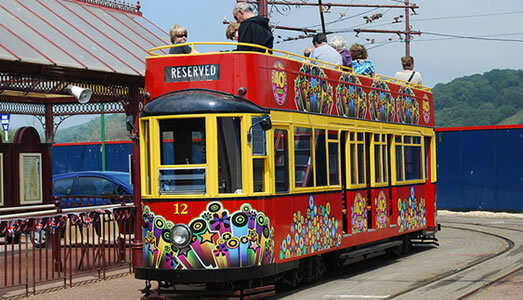 If you want to take an afternoon at a more leisurely pace, why not try the The tramway in Seaton and Colyton. A gentle ride alongside the River Axe and through two nature reserves, offers plenty of lovely photo opportunities. A great display of tanks and armoured vehicles for army-fond boys and girls. The museum is huge and offers lots of things to do and see for kids and big kids of all ages! Not to be missed is the live displays in the arena, where you can all sorts of WWI and WWII tanks in action. Kingston Maurward is a beautiful country house near Dorchester with its own animal park. Our favourite residents at the park are the gorgeous little Shetland ponies – so cute! Llamas trekking is great fun for children. These are tall – but gentle creatures – pick you Llama and take it on guided walk around the local countryside. Near Beaminster, the llama treks are a great way to discover the majestic Dorset countryside and coastline.